A recent proposal (555) to the AOU’s South American Classification Committee deals with newly published information about relationships within the sandpiper family, Scolopacidae, and what it means for the classification of these wonderful, fascinating birds. I think it’s likely that next year’s AOU North American checklist supplement will reflect some of the new information. Currently, the list places yellowlegs and their relatives first and ends with phalaropes in their own subfamily. And some distinctive-looking species, like Surfbird and Buff-breasted Sandpiper are placed in genera by themselves. But let’s take a look at how things are shaping up for the future. The first branch contains the curlews, plus North America’s the Western Hemisphere’s Upland Sandpiper. Those of us in North America may not necessarily associate “uppies” with the highly derived Long-billed Curlew, but check out the Eastern Hemisphere’s Little Curlew for comparison. 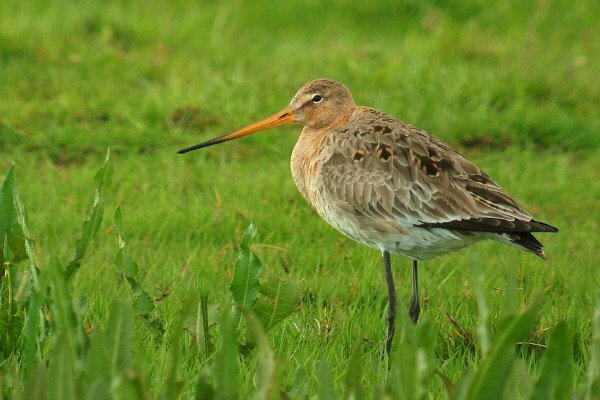 Godwits are next: large, impressive shorebirds with awesome, upswept bills. Godwits are spectacularly powerful fliers; the Bar-tailed Godwit makes an eight-day, non-stop flight from Alaska to New Zealand each autumn, a distance of more than 7,000 miles (11,500 kilometers). 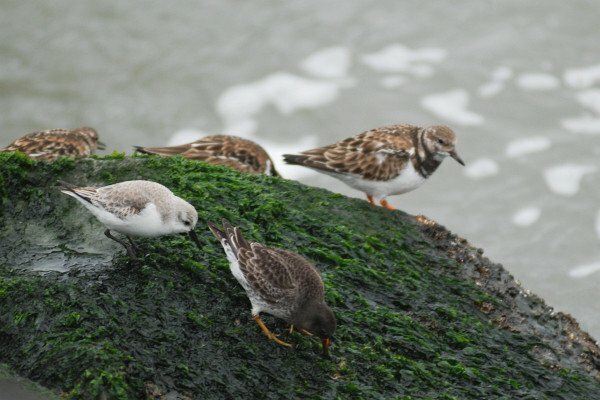 The birds known as peeps, stints, knots, turnstones (which were once awarded their own family! ), and many small and medium-sized sandpipers form a diverse but coherent group — so much so, in fact, that relationships within the group are not yet entirely clear. 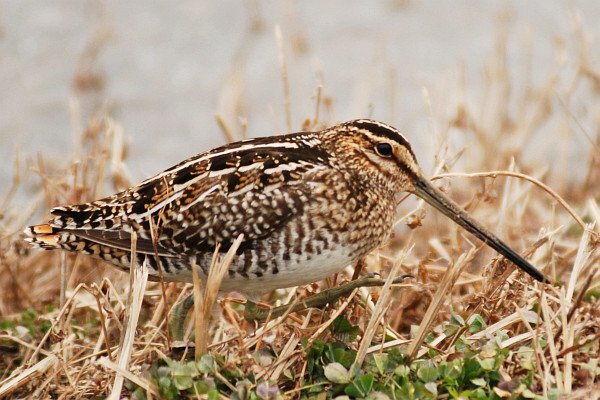 It is clear, however, that the genus Calidris is polyphyletic with respect to several other members of the group, including Buff-breasted Sandpiper and Surfbird, so generic reassignments within the group are a virtual certainty in the near future. Also in this group is one of the rarest birds in the world, the Spoon-billed Sandpiper. Dowitchers, snipes, and woodcocks cluster together. The distinctive and specialized phalaropes are not, as currently treated on the AOU list, a separate group at the end of the sandpiper assemblage. 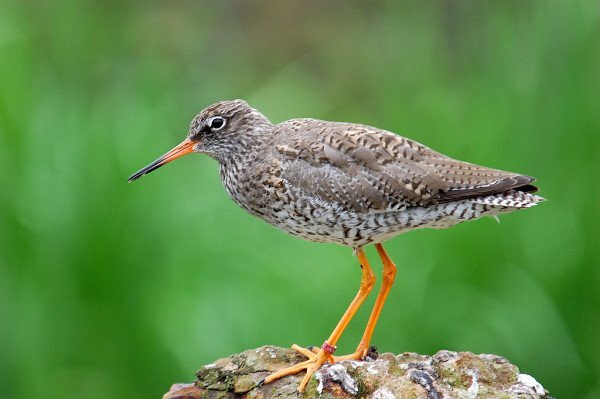 In fact, they are allied with a group of sturdy shorebirds that in North America include the yellowlegs and Willet and in the Eastern Hemisphere the “shanks” and Terek Sandpiper (stuff of legend for ABA-area listers). The familiar Spotted (Western Hemisphere) and Common (Eastern Hemisphere) sandpipers also fall here. It’s funny. I never would have put Upland Sandpiper with curlews myself but you mention it and I think, “well yeah, of course they are”. Aside from the bills, which every bit of bird evolution we know has taught us are incredibly evolutionarily plastic, they’re so similar. I guess that’s how taxonomy is supposed to work. And how convenient that Clare just posted about Little Curlews today. Did you two plan this? @ Corey-no, it was quite a surprise! @Corey: We are just that good. I love it when the beats’ posts complement each other. I wonder were the Polynesian sandpipers end up. Duncan, I don’t think the recent Gardner and Barker paper (on which the SACC proposal is based) sampled the Polynesian sandpipers, but Alice Cibois et al. published a paper earlier this year in which they linked the Polynesian sandpipers with the calidrid/turnstone radiation. Are You Tired of Having Your Photographs Stolen?